BATON ROUGE — The 2012 Cortana Kiwanis Christmas Parade will roll through downtown Baton Rouge this Saturday, Dec. 8 at 5:30 p.m. Kiwanians are urging parents to bring their kids to see the family-oriented parade, which includes 80 floats, walk-ing units, and bands cele-brating the start of the Christmas season with music, throws, and Santa him-self. The Annual Baton Rouge Christmas Parade has rolled through Downtown every year since 1950. It’s a holiday tradition in Baton Rouge and serves as the official welcome parade for Santa Claus. Every year, tens of thousands of people line the parade route and thousands more watch the parade on television. 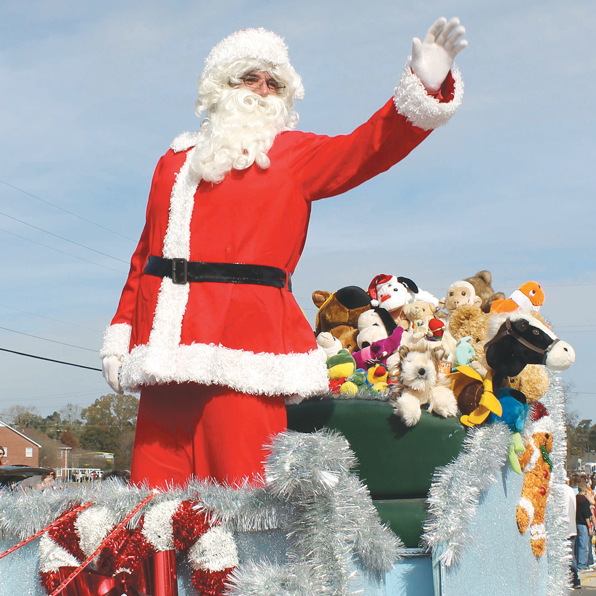 The Cortana Kiwanis Christmas Parade is the largest and longest running parade in the Greater Baton Rouge Metro Region. Over the years the parade has been managed by many different groups. reins were passed to the Cortana Kiwanis Club of Baton Rouge – a local chapter of Kiwanis International. Under Cortana Kiwanis’ management, the parade serves as a fundraiser, which supports the charitable work done by Cortana Kiwanis year-round.